SAFETY GOAL: Come home each day the way you left in the morning. We also sell to other businesses who don’t focus on safety products as their main line of revenue, but whose customers want one source for all their materials. Think of how this could enhance your value added to your current customers! For individuals, we specialize in selling items in small quantities at a reasonable cost instead of having to buy full case quantities or paying inflated prices. 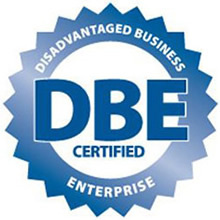 We are a Federally Certified Woman Owned Small Disadvantaged Business. We list several Wal-Mart Distribution Centers throughout the country as a repeat customer as well as TVA, the University of Tennessee, and several area manufacturers and contractors. We take great pride in serving our customers. If your safety needs fall under hand or eye protection, spill abatement, signage, traffic control, roofing, barricade tape, or lock out/tag out, then we’ve got the product for you. Please call to get more information on our product lines for your flammable storage needs, respirator and respiratory cartridges, and hazardous material processing goods. To open an account or if you need more information, click here.